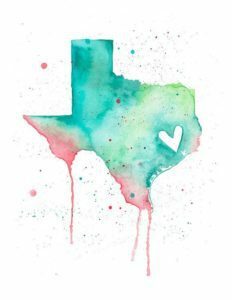 We here at Seattle CosMedic Skincare are so saddened by the devastation that has hit, and continues to hit Texas. Our hearts go out to all those affected. For the next 4 weeks we will be donating 10% of all services to JJ Watt Houston Flood Relief Fund and The Houston Humane Society. All of us at CosMedic Skincare have a passion for people and for animals and we want to do our part. Help us give to those in need. We have chosen to donate to the JJ Watt’s Houston Flood Relief Fund. This fund is helping to rebuild the aspects of lives that were damaged or lost by the devastation of Hurricane Harvey. We have also chosen to donate to The Houston Humane Society. CosMedic Skincare has a total of 7 four legged family members. By donating to the Huston Humane Society, we are insuring that displaced animals get the care they need and get reunited with their families, or find their forever home. CosMedic Skincare will also gladly accept any additional donations you wish to make. Thank you from the bottom of our hearts for helping us give back to these people and animals in need.